Computer Networking - Digital Network Security will introduce you to the network protocols and architecture commonly used in network security. This course begins with the functions and features of VPN protocol: Point-to-Point Tunneling Protocol (PPTP). You will investigate Point-to-Point Tunneling Protocol (PPTP) and how it encapsulates Point-to-Point (PPP) frames into IP datagrams for transmission over a network. You will see how L2TP relies on IPSec in Transport Mode for types of encryption services. You will then learn about Firewalls; the most commonly used type of security device in any organization's perimeter. 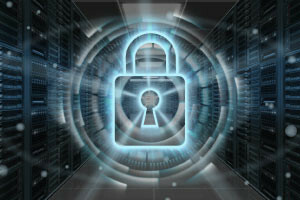 Firewalls protect a network from unwanted intrusion and malicious attack. You will learn about Perimeter networks. These networks keep certain information open to some users or to the public while keeping the rest hidden. You will learn about Stateless and Stateful Packet filtering and their functions. Next, you will learn about Application-level gateway functions. These support address and port translations and check whether the type of application traffic should be allowed. Finally, you will investigate the Network Intrusion Detection System (NIDS) which can monitor network traffic and the Network Intrusion Prevention System (NIPS) which can redirect, detain or even remove malicious traffic. This will be of interest to all learners looking to learn more about computer networking, the network protocols and architecture seen in network security. It will also be of great interest to anyone considering computer networking professionally or who are considering doing computer networking exams. Describe how Firewalls protect network security. Describe how the role of a Perimeter network. List the two types of Packet filtering and their functions. Describe how an Application-level gateway functions. Explain the different types of Network security systems.